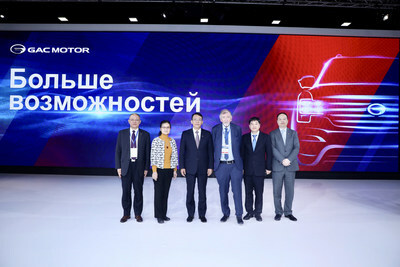 ST. PETERSBURG, Russia, April 5, 2019 /PRNewswire/ -- Leading Chinese automaker GAC Motor has made its debut at the 2019 St. Petersburg International Motor Show ("the Motor Show") with nine of the brand's star models including SUVs, MPVs, sedans and a new energy vehicle. The automaker also revealed an update to its plan to enter the Russian market in 2019 with its top-selling product. "Russia's automobile market has maintained double-digit growth over the past two years. We believe the surging demand for cars needs to be satisfied with diversified products and services. That is why we are here; GAC Motor is committed to creating better products of higher quality that offer a pleasant mobile lifestyle for global consumers. 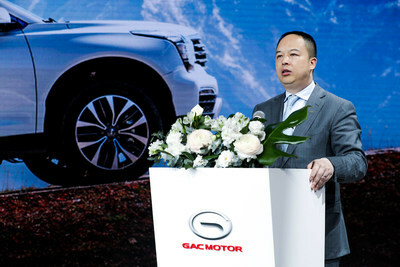 We hope that Russian people enjoy the fine design and good quality of GAC Motor's products," noted Yu Jun, President of GAC Motor. GAC Motor is steadily laying out its strategic plan for the Russian market. The automaker first announced that it would enter Russia during its debut at the Moscow International Automobile Salon (MIAS) in August 2018. Its overseas subsidiary in Russia, GAC Motor RUS, is now in operation to prepare for product releases and the opening of new stores. Ever since its establishment, GAC Motor has been adopting a path that is "led by brand building, driven by high standards and defined by high quality", and has been ranked No.1 in J.D. Power Asia Pacific's China Initial Quality Study (IQS) for six years in a row. With a world-class car design and manufacturing system, GAC Motor's stand-out designs, convenient driving experience and cutting-edge technologies were highly praised by Russian dealers and consumers. During the Motor Show, GAC Motor signed cooperation intention agreements with several Russian dealers. 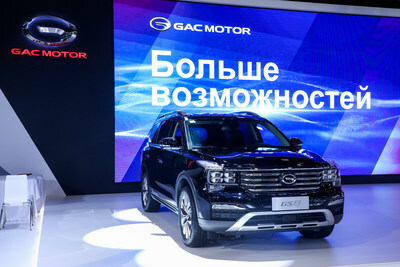 GAC Motor exhibited the brand's comprehensive vehicle product lineup at the Motor Show, including the new energy SUV GE3 version 530, the GM8 and GM6 MPVs, GA4 and GA8 sedans, as well as four SUVs – the GS8, GS5, GS4 and GS3. The GM6 and GS5 were shown to the Russian audience for the first time. After 4 days at the Motor Show, GAC Motor will also join the Russian Association of Auto Dealers (ROAD) annual meeting and host brand promotion events on April 10 to welcome and communicate with more interested dealers. Founded in 2008, Guangzhou Automobile Group Motor CO., LTD (GAC Motor) is a subsidiary of GAC Group which ranks 202nd among Fortune Global 500 companies. The company develops and manufactures premium quality vehicles, engines, components and auto accessories. GAC Motor has now ranked first among all Chinese brands for six consecutive years in J.D. Power Asia Pacific's China Initial Quality StudySM (IQS), demonstrating the company's quality-centric strategy from innovative research and development (R&D), manufacturing to supply chain and sales & services.